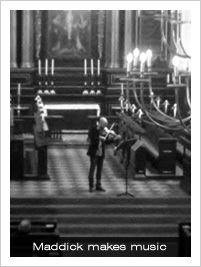 March opened with a truly fantastic recital of Bach for solo violin. Inspired by the effect of the acoustic, Andrew Maddick – a graduate of the Freiburg Academy and member of the Orchestra of the Swan – performed a selection of his favourite sonatas and partitas by Johann Sebastian Bach. famous violinist Yehudi Menuhin wrote of All Saints: “Nowhere in Europe or indeed the world have I played in a building that has better acoustics. They are absolutely perfect!” Andrew demonstrated this to great effect, with a fantastic recital. 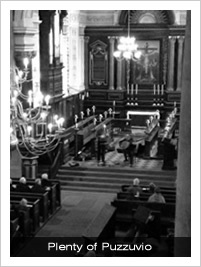 Andrew’s recital came soon after another memorable recital by the group Duo Piccolo e Grand. On a spectacularly cold spring day, Enzo Puzzovio (on baroque mandolino and hurdy-gurdy) and Stewart McCoy (lute and theorbo) offered a number of rare baroque works, from composers as diverse as Scarlatti, Vivaldi and Corrette. It was lovely to hear such unusual instruments presenting lesser known works by some familiar composers, and the concert was much enjoyed by those who were present.